An official of the Department of Transportation sees no problem taking public transport, as proposed by a solon through the filing of a bill in the House of Representatives, but called on lawmakers to support the modernization program for public utility vehicles. DOTr Undersecretary for Road Transport Mark de Leon said lawmakers should find ways to help jeepney operators and drivers comply with the program through additional subsidies. “The PUVMP (public utility vehicle modernization program) is hinged on the welfare of the commuter. Some lawmakers in the House and the Senate have their doubts with the program. What we need is more funding so we can have more subsidies for the jeepney operators,” de Leon said in an interview. 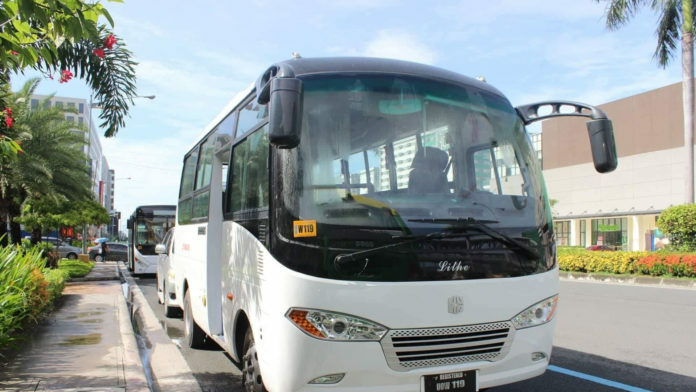 De Leon was reacting to a bill filed by Quezon City Rep. Winston Castelo requiring officials of transport-related agencies such as the DOTr, Metropolitan Manila Development Authority, Land Transportation Franchising and Regulatory Board, among others, to use public transport at least once a month. The solon said officials would have “first-hand experience” on transportation issues through commuting. “I have no problems commuting. I do that every day even before I joined government. Riding public transport can be an eye-opener for some,” de Leon said. The government has allocated a budget of PHP447 million this year for the program’s implementation. Another PHP2.2 billion was earmarked for low-cost financing to help PUV operators under the program. The program will replace jeepney units that are 15 years old with Euro 4 engines or electrically-powered engines with solar panels for roofs. These modern jeepneys will be equipped with closed-circuit television cameras, a GPS navigation system, an Automatic Fare Collection System, speed limiters, dashboard cameras, and Wi-Fi.